Three Expedition 43 crew members are readapting to Earth’s gravity after returning home Thursday morning. The trio still onboard the International Space Station is working advanced microgravity science, orbital maintenance and exercise to remain fit and counter the effects of living in space. Expedition 44 started early Thursday morning after the Soyuz TMA-15M spacecraft undocked from the Rassvet module. 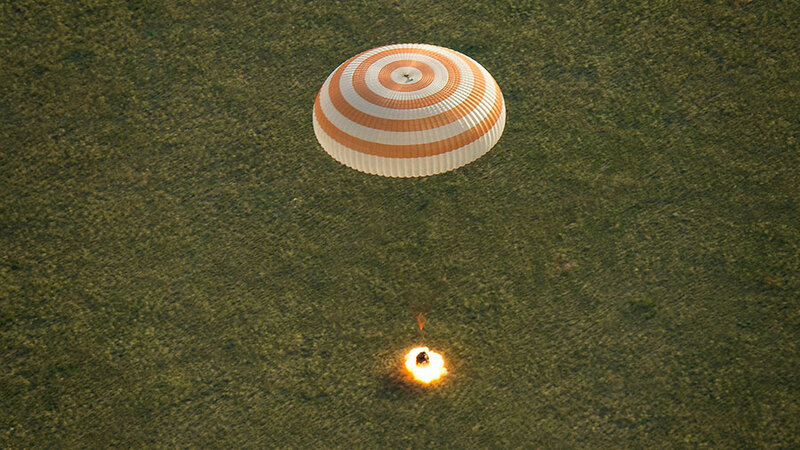 NASA astronaut Terry Virts, ESA astronaut Samantha Cristoforetti and Russian cosmonaut Anton Shkaplerov parachuted to a landing in Kazakhstan a few hours later. Remaining in space and waiting for a new crew are cosmonauts Gennady Padalka and Mikhail Kornienko and NASA astronaut Scott Kelly. Kornienko and Kelly are the One-Year crew members and Padalka is the new Expedition 44 commander. The orbiting trio looked ways to improve performance in space with the Sprint experiment. They also explored methods to detect pressure leaks and radiation in the space station for the Bar and Matroyshka experiments. Russian mission managers have chosen July 22 as the launch date for three new Expedition 44 crew members. Soyuz TMA-17M Commander Oleg Kononenko will be joined by astronauts Kjell Lindgren from NASA and Kimiya Yui from the Japan Aerospace Exploration Agency for the ride to space and return home in December.